The bacteria that literally make us tick as humans starts as early as during pregnancy, and the type of bacteria that our bodies carry on us differs from things such as what we eat as babies (such as breast milk or formula) to the way we were born and continues to be impacted through our lives by our diet, stress, and lifestyle. 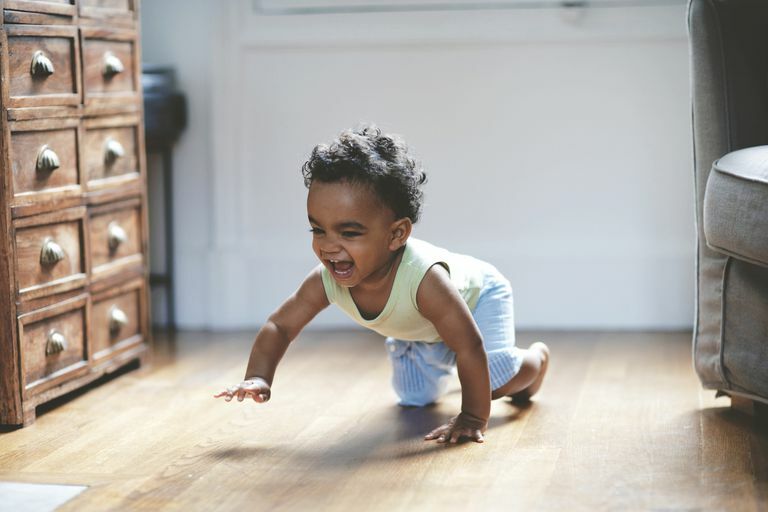 So now we that we are learning more than ever about "good" bacteria, as parents we are starting to wonder if giving probiotics — beneficial bacteria — to our babies is a way to help them have the best start to life. One interesting new study in JAMA Pediatrics found that giving probiotics to babies in their first year of life might actually decrease the risk of type 1 diabetes in children. The babies in this study were started on probiotics pretty early on in life, from birth to 27 days old. The study found that the babies who had the probiotics showed lower levels of antibodies that attack the pancreas and cause type 1 diabetes. What you need to know about the study is that it looked at babies who had the highest risk of type 1 diabetes, which means that further research is needed before scientists can conclude that probiotics given to babies in their first year of life can definitely reduce the risk of diabetes for all kids. Another study found that giving the probiotic Lactobacillus reuteri DSM 17938 to babies in the first three months of life reduced the number of times a baby had episodes of crying because of colic and also decreased other problems caused by digestions, such as infant reflux and even constipation. All of the babies were born at term, meaning none of them were premature, so that ruled out any complications that could have been from being born too early. The study really showed promising results for any parent. The bottom line is that there aren't really any proven drawbacks to giving your baby probiotics, and they may help improve digestion and lower the risk of certain diseases. So, by all means, talk to your baby's healthcare provider about seeing which type of probiotic would be best to incorporate into your baby's daily routine. Indrio, F. et al. (2014). Prophylactic Use of a Probiotic in the Prevention of Colic, Regurgitation, and Functional Constipation: A Randomized Clinical Trial. JAMA Pediatrics,168(3):228-233. http://archpedi.jamanetwork.com/article.aspx?articleid=1812293&quizId=3799&atab=8. Uusitalo, U. et al. (2016, January). Association of Early Exposure of Probiotics and Islet Autoimmunity in the TEDDY Study. JAMA Pediatrics,170 (1):20-28. http://archpedi.jamanetwork.com/article.aspx?articleid=2469199.